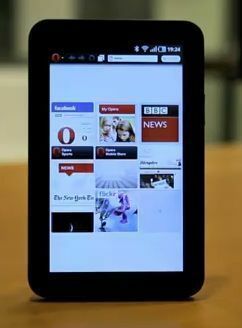 Opera Software, the leading provider of Web browsing solutions today announced that during the annual Consumer Electronics Show (CES) 2011, Opera will unveil the first public preview of Opera for tablets. Whether it’s checking email, managing social networks or surfing the net, Opera’s specialized browser for tablets provides one with the smoothest tablet and netbook experience on the market. So far Opera has been leading the mobile web browser segment with its innovative compression technology and sleek design which uses limited memory and CPU resources.